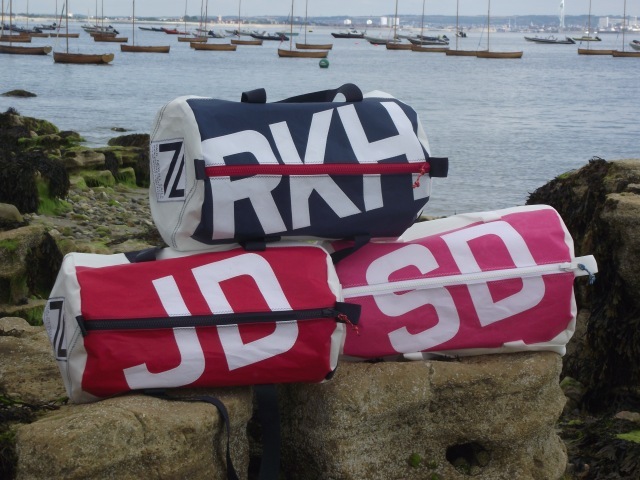 We can personalise these kitbags with white letters and/or numbers, which are sewn onto the coloured top section of the bags. Add up to three characters that we cut out by hand. They are sewn onto the coloured top section with traditional zig zag stitch. We offer you a choice of colour for this top section. You can also choose the colour of the chunky, robust zip. We add a colourful pull cord to the zip slider. Last but not least, you can choose the colour of the webbing handles. 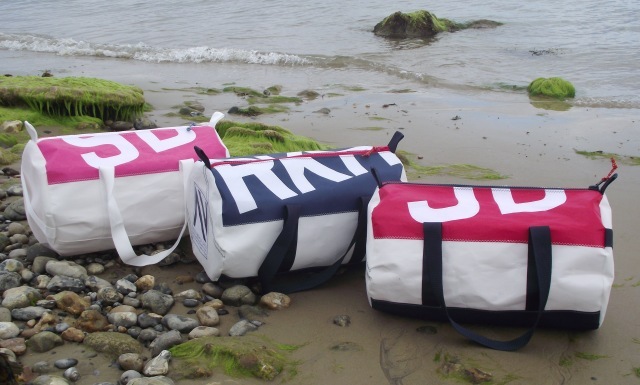 - the body of the bag is made from especially selected recycled sailcloth, or, if unavailable, new excellent quality top sailcloth. - choice of coloured webbing handles that are sewn on right around the bag, that reinforce the pockets. -choice of chunky coloured zipping with slider and pull cord. Two sliders are added to the large size. 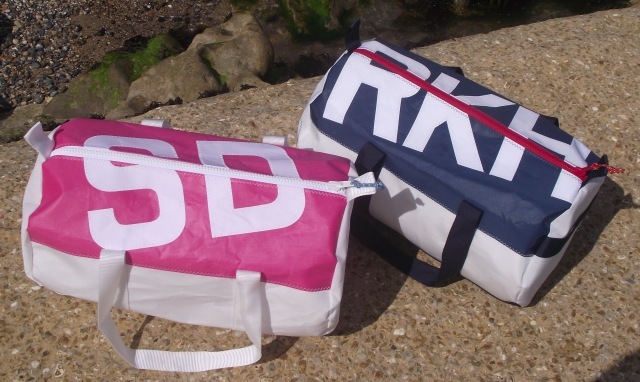 * the photo shows the Navy blue, Red and Raspberry Pink colours with white lettering sewn on top. The photo is taken on the beach in Seaview on the Isle of Wight. Care instructions: Wash gently at 30 degrees by hand with eco-friendly washing liquid. Rinse and dry naturally. Please do not add bleach, do not dry clean, do not iron and do not add bleach.